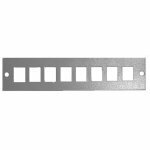 Optical box CROSVER FOB-19/1-300/32-1-24 is designed for mounting in a 19-inch rack and is used for termination of optical cables by splicing with the use of pigtails. 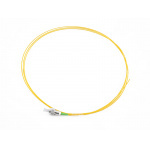 Allows for dressing of up to 24 optical fibers. A universal solution for lead-in distributors, telecommunication crosses, server rooms and other communication centers. Secure fixation of optical cables is ensured by conical clamp design of the port (type PG 13.5), fixation of the cable power elements in special clamps, and additional fixation with use of nylon cable ties. The optical box allows for installation of splice cassettes S300. 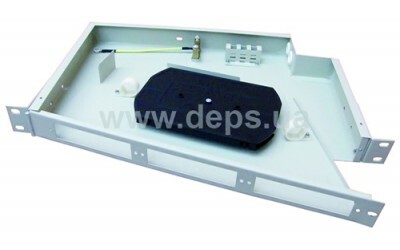 Ergonomic design and internal packaging of the box meet all the operational requirements. 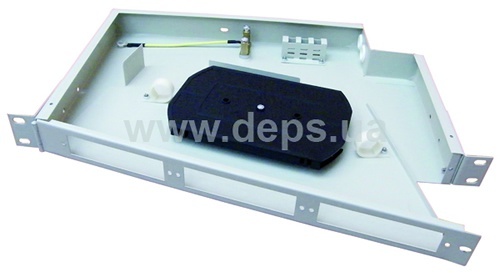 Splice-cassettes S300 (1 piece х 32 splices). 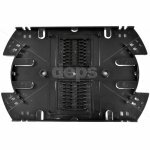 Note: delivery set does not include the replaceable front panels for fixation of optical connectors.